VaynerMedia (VM) is one of the world’s biggest digital marketing agencies, founded in 2009 by entrepreneur and wine connoisseur-turned-digital marketing expert Gary Vaynerchuk. VM provides social media and digital marketing services to some of the world’s biggest brands, such as Pepsi, Unilever, and Toyota. The success of the company means it is now worth in excess of $100m by some estimations. So, to borrow a phrase from the company’s CEO, VaynerMedia is ‘crushing it’. I’ve been an admirer of Vaynerchuk for a long time, and have learned a lot of lessons from following his YouTube and social channels over the years. Here are the lessons that have had a major impact on me and my agency, Move Digital. The biggest lesson I’ve learned from Gary Vaynerchuk is that staying on top of industry trends is absolutely vital. Throughout his career, he has shown an awareness of what’s going on in the industry that is unrivalled. He has invested in both Twitter and Facebook, before they became the all-conquering media giants that they are today. And when Twitter ran into troubles, most notably a stalling growth in its user base, Vaynerchuk was one of the first to admit that the network’s best days were probably behind it. 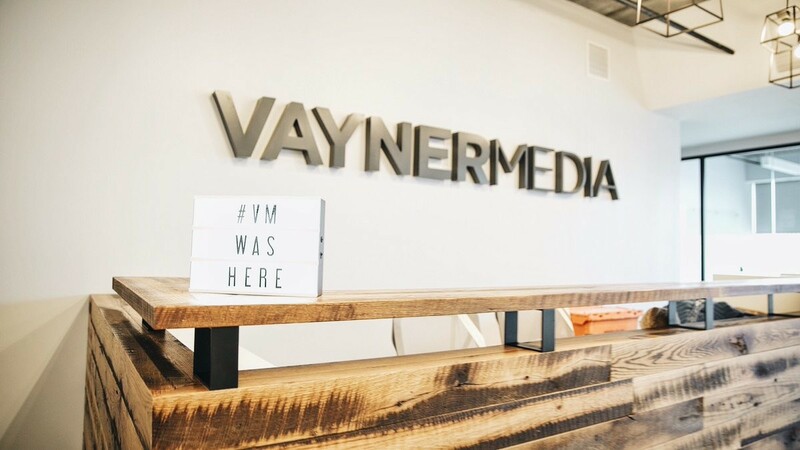 Essentially, the biggest reason behind VaynerMedia’s success is its constant adherence to, and a flexibility to accommodate, current and emerging media trends. If you really want to succeed in digital marketing, simply being aware of the current trend isn’t enough. You need to be able to predict what the next big trend will be. And how do you do that? Easy. Be an early adopter. Vaynerchuk met his wife in 2003 on a dating website, long before online dating became the norm with the advent of Tinder a decade later. He said that the experience made him realise that one day ‘everyone is going to do this because it’s practical.’ That, there, is the key point. To know whether or not a new product or service is the real deal or not, you have to use it yourself. While everyone else was busy sneering at online dating in 2003, Vaynerchuk tried it out for himself, and realised that it had the potential to be a huge industry. This is something I’ve adopted into my everyday life. Whenever there is a new digital product or service, I make sure I am one of the first to use it. This attitude led me to buy an Amazon Echo a few years ago. Through using that product – and other similar voice search products – I am 1,000% certain that it will be the next big thing in tech. In 5 years’ time, we will all be using voice in our everyday lives. After this realisation, I decided to change the direction of my entire business to focus on voice, and in a few years I hope we will be one of the biggest voice agencies in the UK. This takes us to the next point. My takeaway from this is pretty clear; there’s nothing wrong with setting big goals for yourself, no matter how pie in the sky they may seem. Even if you don’t reach those goals, you’ll still be in a better position than when you started. My personal goal is to make my agency – Move Digital – the UK’s leading agency for voice search services. I want us to be in the room to pitch every time a major company puts out a tender for a voice contract. That may seem like a lofty ambition, but the way I look at it, even if I only get halfway there, that’s still a great position to be in. Not everyone can achieve their biggest goal, but if you don’t try you definitely won’t get there. And who knows, if I achieve my current goal, I may have to set myself the target of buying my beloved Premier League club Cardiff City FC! As the owner of an agency, it is vital that clients and potential clients both like you on a personal level, and can be confident that you are an expert in your field. This is for one very basic reason; if you were a social media agency and asking them to hand over a large monthly retainer for your services. They need to know that you are both competent, and somebody they can do business with on a daily basis. I’m sure you know this already. It is the vital foundation of any agency-client relationship. However, VaynerMedia has taught me that you can build these relationships with potential clients without ever having to meet them face to face by making yourself visible. At the time of writing, Gary Vaynerchuk has 1.3m followers on YouTube, 3.3m followers on Instagram, 2.8m likes on Facebook, and 1.7m followers on Twitter. I have no doubt in my mind that Vaynerchuk’s social media and public speaking work is a large factor in the size of client he is able to attract. He is clearly a switched on entrepreneur who has his finger on the pulse of the digital marketing industry, and this comes across to his millions upon millions of social media followers and attendees at his speeches. His large social following also demonstrates to any potential clients who want social media support – a big part of VaynerMedia’s offering – that his agency can provide results. This kind of social media thought leadership is something I am trying to build up myself, and I would encourage all other agency owners to do the same. I will be attending VoiceCon 2018 in New York City next Week, where Gary Vaynerchuk is due to speak. I’m looking to set up meetings with potential clients and fellow agencies alike while I’m in New York, so feel free to drop me a line if you’d like to meet up! Geraint John is the Managing Director of Move Digital, the digital marketing agency for ambitious brands. Geraint is also one of the UK’s leading experts in voice search.